THE ELOY AWARDS is BACK! Celebrating 10 years of Championing Women. Our aim is to continue to use the ELOY awards to celebrate, inspire, empower, encourage and challenge women to be audacious and ambitious. A woman’s place is wherever she wants to be and she can become whatever she desires to be. We want to encourage all women to unleash their true potential. We have been consistently celebrating, empowering and motivating women since 2009. 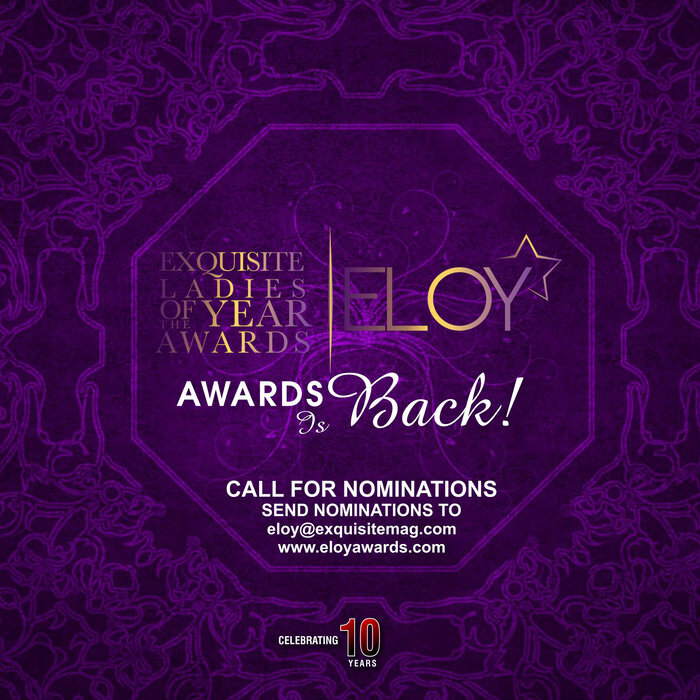 We are in the 10th year of the ELOY Awards, The Year of Audacious Ambition, The Power is Hers.